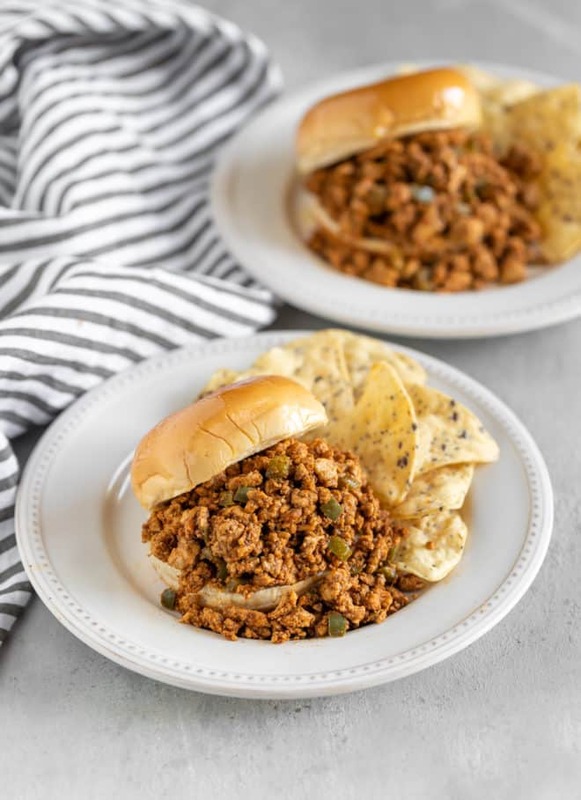 A delicious and spicy update on a classic comfort food recipe, Chipotle Chicken Sloppy Joes are my new favorite way to have dinner on the table, from stove to plate, in half an hour. And it all starts with one little pantry ingredient. This recipe is so, so good! If I’m feeling extra, I’ll serve it with a Easy Apple Coleslaw or Crunchy Broccoli Slaw and everyone is happy, picky eaters included. 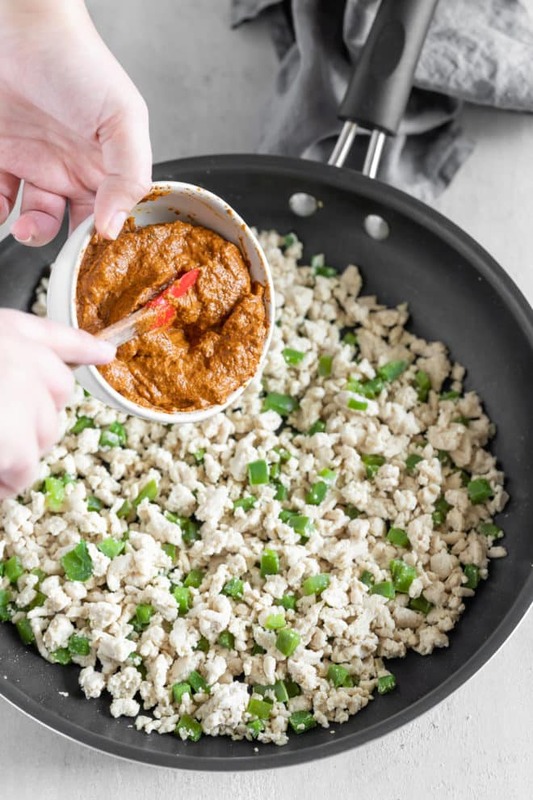 Ground chicken is a nice break from the usual sloppy Joe ingredients, but you can use turkey, too–these Joes are smoky, spicy, and a little sweet, thanks to canned chipotle peppers. While shopping, maybe you’ve seen those cute little cans of chipotle peppers in something called ‘adobo sauce’ but you’ve never known what to make with them. This is a fabulous recipe to make you fall in love with their deep, rich flavor. Start with a little, and add more if you need a little extra kick. It’s a slow burn, but it’s a delicious one. Need Chipotle Chicken Sloppy Joes for a gigantic crowd? Great idea! Click and slide the number next to “servings” on the recipe card below to adjust the ingredients to match how many you’re feeding—the recipe does the math for you, it’s that easy. First, make your sauce. Blend together the onion, spices, chipotle chiles, adobo sauce, salt, black pepper, and a little of the olive oil. The mixture should be smooth and thick. In a pan on the stove, cook the peppers and the chicken in some olive oil. Like red bell peppers instead of green? Go ahead–this is your rodeo, after all. You may need to drain the chicken if it looks too wet. Add the sauce to the chicken, and let simmer, covered, on medium-low heat for another 20 minutes. Don’t forget to toast those buns! 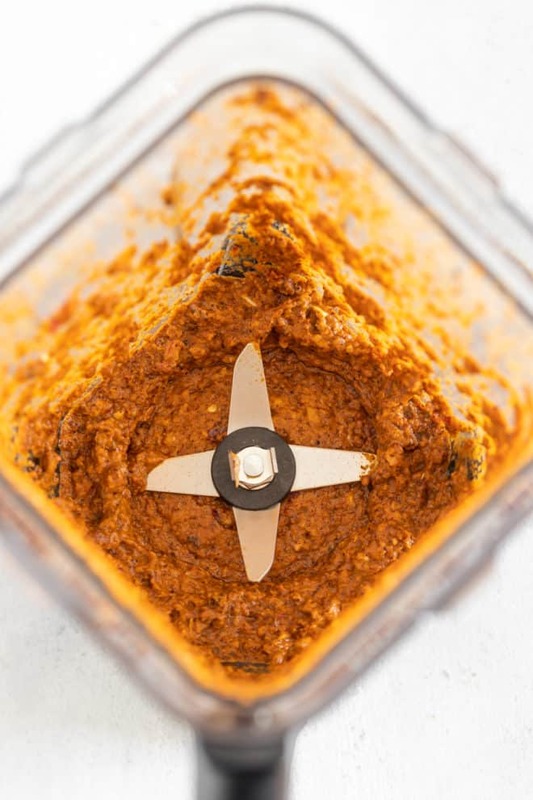 This little, easy-to-find can is a spicy pantry staple, but what is it, exactly? Chipotle chiles are nothing more than smoked jalapeño peppers; the sauce they’re stored in, adobo sauce, is a tangy red sauce with a touch of sweetness. Where can you find chipotle chiles in adobo sauce? Mexican and Latin American grocery stores stock several varieties of chiles in adobo. Other supermarkets stock them in the Mexican food section. It’s also a good place to find ancho powder, too! What is a substitute for chipotle chiles in adobo sauce? If you really want to make this recipe but don’t have the chiles, you can make a decent substitute–but you need chipotle pepper powder. Nothing can compare to the smokiness of chipotle! Mix ingredients together. Adjust these proportions to best fit your flavor and spiciness expectations. Unless you like it really spicy, chances are you’ll have leftover canned chiles. The good news is that they keep a long time! 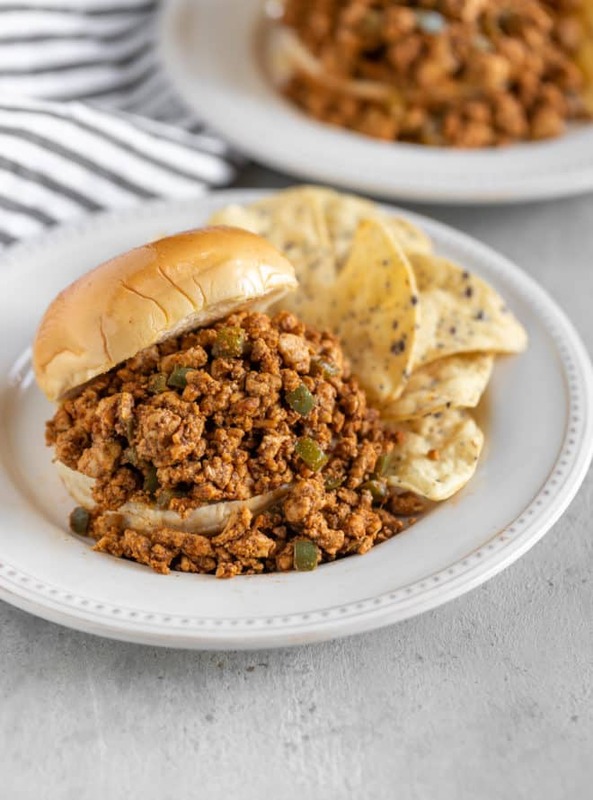 You don’t need a slow cooker to make sloppy Joes with ground chicken, but sometimes it’s nice to come home to dinner already made! Cook the peppers and ground chicken on the stovetop according to the recipe. Add the meat mixture and the remaining ingredients to a crockpot, stirring to combine. Place the lid on and cook for 4-6 hours on low, or 2-3 hours on high. Serve on buns. 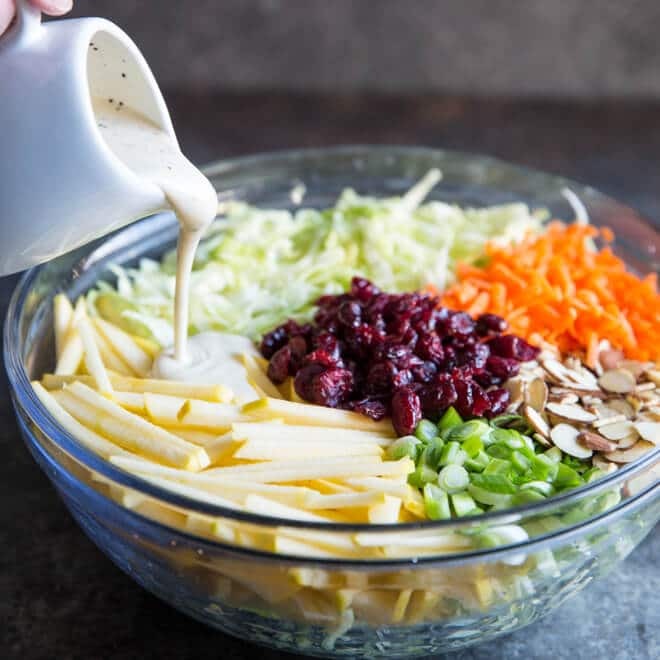 This recipe is already pretty healthy, but if you’re watching your carbs, there are some things you can do and still have a great, super healthy dinner. Instead of a bun, toast a whole wheat english muffin which can contain up to 8 grams of fiber. It makes a nice hearty and healthy alternative to the hamburger bun! 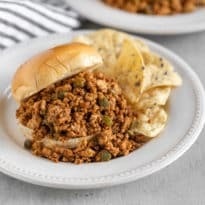 Need Whole30 compliant sloppy Joes? Serve them on roasted spaghetti squash, a simple cauliflower rice, or baked sweet potato halves. 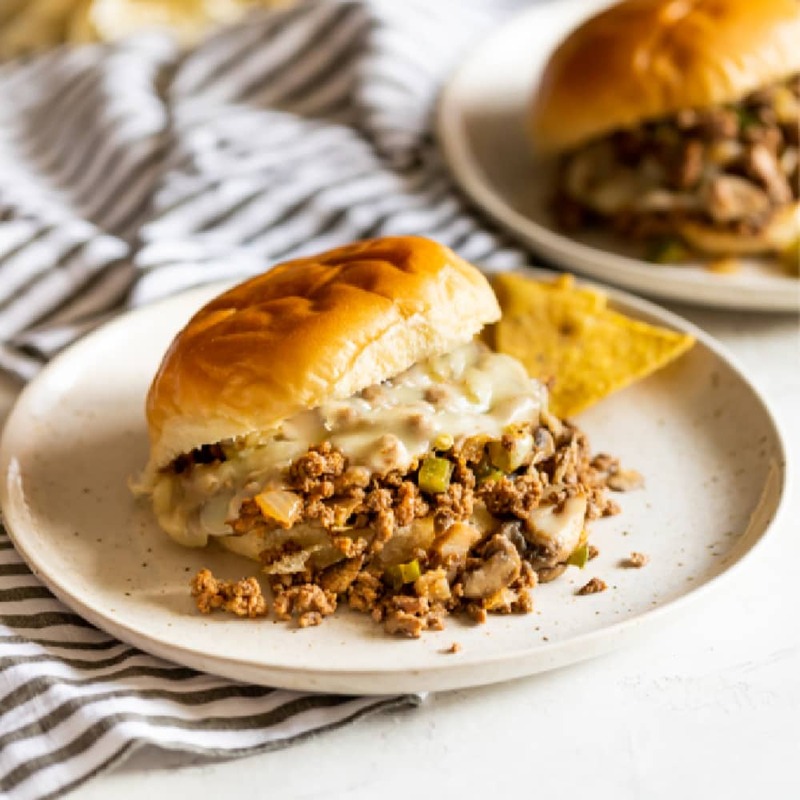 A delicious and spicy update on a classic, Chipotle Chicken Sloppy Joes are my new favorite way to have dinner on the table, from stove to plate, in half an hour. And it all starts with one little pantry ingredient. 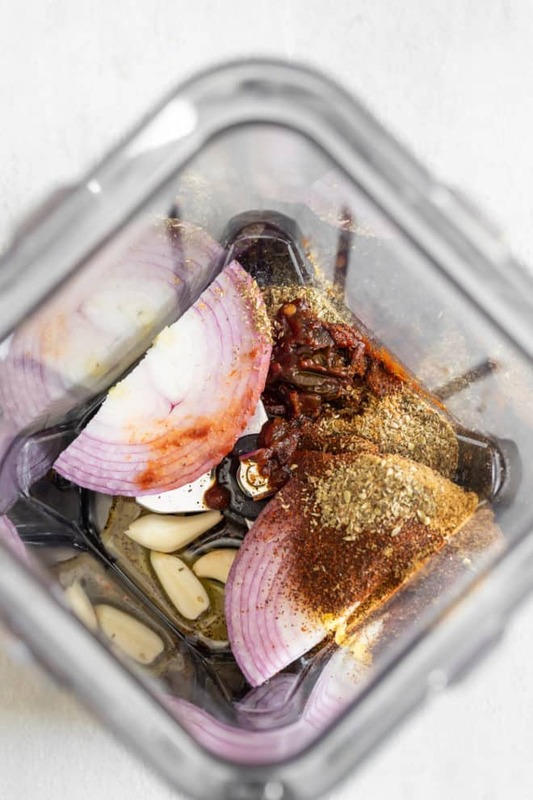 In a food processor or blender, add red onion, 1 tablespoon olive oil, garlic, adobo sauce, ancho chile powder, cumin, dried oregano, 1 teaspoon salt, and 1/2 teaspoon pepper. Blend until smooth. In a Dutch oven or large saucepan, heat remaining 2 tablespoons olive oil until shimmering. Add chicken and green peppers and cook until the chicken is browned, and the peppers are softened, about 5 minutes. Drain well. Pour sauce ingredients over drained chicken and stir until evenly coated. Cover and simmer 20 minutes, stirring occasionally. Serve in buns.